Here's another freebie from my niece's attic that I chalk painted for the new room. Of all the stuff I re-did - this is one of my very favorite pieces! 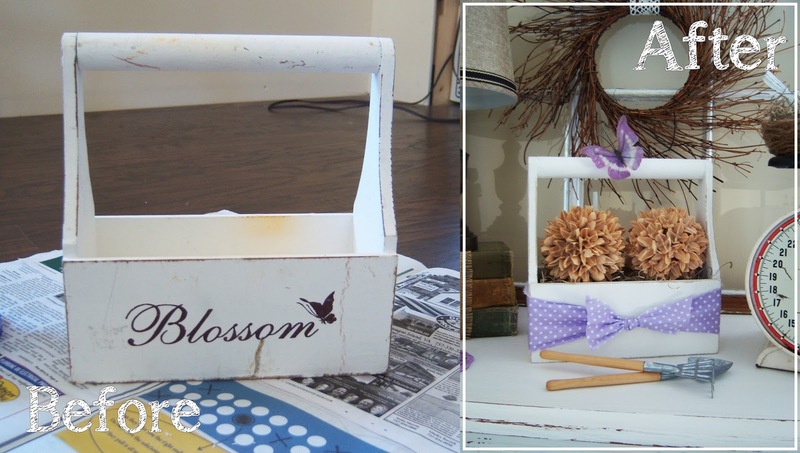 While I had the chalk paint out I painted up this little wooden toolbox and put it on top of my dresser. 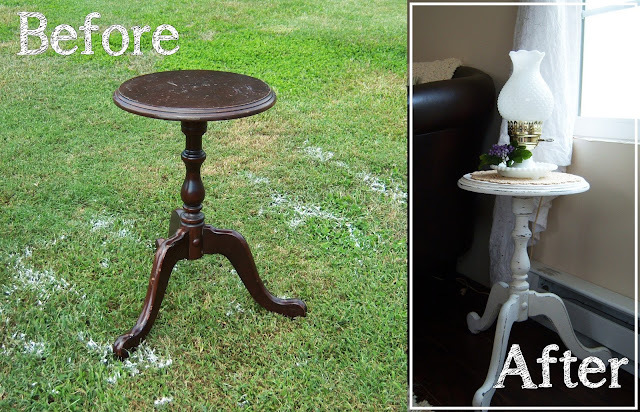 I love taking old things and making them fresh and new with a little tlc and a bucket of paint! Love your pretty little table! Great job! I decorative painted one almost like it years ago and sold it for $75.00! You really are on a roll! More fabulous finishes! Think I could find any pieces left in your nieces attic! LOL! Two more great pieces for the room, and the price is spot on ;) love the ribbon and butterfly added so sweet!